Ziftr, a New Hampshire-based company whose products and services aim to revolutionize online shopping, announced last week that it is accepting US dollars in the form of personal checks for its own cryptocurrency, ziftrCOIN, for the remainder of the coin’s presale, which is slated to end this Friday. 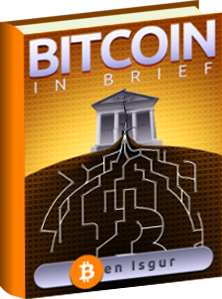 Previously, Ziftr accepted only Bitcoins for the presale. When it launched on December 9, the presale began at 1 BTC for 1,600 ziftrCOINs, gradually rising to 1 BTC for 533 ziftrCOINs (as of this writing, the rate is 1 BTC for 1,000 ziftrCOINs). The company said ziftrCOIN is still available in exchange for Bitcoin, but presale participants can send a check for orders of $250 or more. To date, more than 3.9 million zifrCOINs have been sold, valued at more than $752,000 USD. 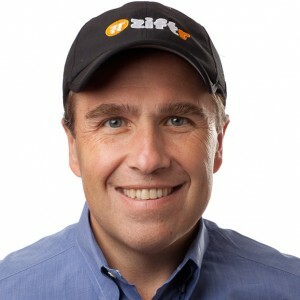 In an interview with CoinReport, Ziftr CEO Bob Wilkins said his company has positioned ZiftrCOIN as the gateway coin to mainstream digital-currency adoption, so a big part of the company’s goal is getting individuals who may not have a lot of experience with cryptocurrency to start using it. Wilkins said feedback on the USD payment option has been very positive. In the past couple of days Ziftr raised approximately $75,000 in the ziftrCOIN presale, and some of those purchases were definitely made with US dollars. Following the presale, all purchased ziftrCOINs will become available for use in February. Later this year, Ziftr will give away 300 million complimentary ziftrCOINs (up to 100 ziftrCOINs per individual) so that everyday consumers can start familiarizing themselves with cryptocurrency. Each coin will have a redemption value of at least $1 when used within Ziftr’s retail network, functioning like a coupon. Earlier this month, Ziftr and RedDotNet, a manufacturer of small form-factor kiosks, announced the formation of Cedar Point Solutions, a New Hampshire-based company that aims to simplify cryptocurrency and fiat currency transactions. The company is run by founder and CEO George Kassas, a multi-lingual executive with more than 25 years of experience in technology, telecom, communications, software applications, analytics, and government affairs. Wilkins told CoinReport that he, Kassas, and Scott Johnson, managing partner of RedDotNet, identified a unique opportunity to leverage the assets, products, services, and intellectual properties of both Ziftr and RedDotNet to enable financial transactions anywhere, at any time, and in any medium.